The study was designed to determine the analgesic, anti-inflammatory, anti-diarrheal, antimicrobial activities and presence of phytochemical constituents of ethanolic extract of Grewia hirsute (EGH) Vahl. Analgesic property was investigated by acetic acid, hot plate, and formalin induced writhing method, anti-inflammatory activity was assessed by xylin generated ear edema and carrageenan-induced edema in rat paw, anti-diarrheal study was conducted by castor oil and testing of gut motility using barium sulfate (BaSO4) and anti-microbial activity was assessed by disc diffusion method. In hot plate method, 250 mg/kg b.w. disclosed higher percentage latency elongation. In acetic acid-induced analgesia, percentage of writhing inhibition for 250 and 500 mg/kg b.w doses of plant extract and standard drug were 55%, 70% and 84% respectively. At later phase, 250, 500 mg/kg b.w doses of extract and standard drug showed 66.01%, 76.3% and 82.608% writhing inhibition individually in analgesia induced by formalin. In xylin-induced ear edema, 500 mg/kg b.w. dose showed noticeable inhibition (59.79%) than 250 mg/kg b.w. (48.18%). In carrageenan method, EGH demonstrated significant (p < 0.001) inhibition activity as 40.67%, 53.11% and 62.03% for 250 and 500 mg/kg b.w. dose and standard drug respectively. 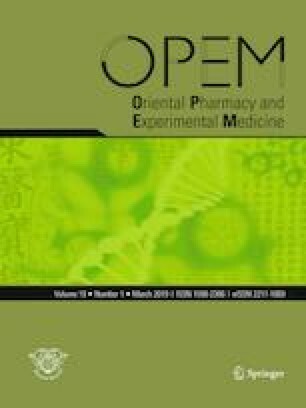 In castor oil-induced diarrhea, the percentage inhibition of defection for 250 and 500 mg/kg b.w. dose were 41.67% and 59.72%, respectively, whereas in gut motility test, 500 mg/kg b.w. dose showed remarkable (30.45%) depletion of BaSO4 transit. The tested plant extract have potential analgesic, anti-inflammatory, anti-diarrhoeal and antimicrobial properties which may conclude the extract as a potential source of phytomedicine. All authors acknowledge their gratitude to Professor Dr. Biplab Kumar Das, Department of Pharmaceutical Sciences, North South University, Dhaka, Bangladesh. All experimental protocols in this study involved animals and all tests have been performed according to ethical standards and guidelines of the institute (Biomedical Research Centre, University of Dhaka, Bangladesh) with reference No. BMRC/EC/2015-16/243. All authors have declared that they have no any competing interest regarding the publication and this work has not been submitted to more than one journal for consideration of publication simultaneously and any of its partial work has not been published in any others journals. All authors have been informed of this submission.